Chicagoland Brokers Inc. Chicago IL. Work with the best and save on commissions. Chicago Real Estate Buyers.. I am currently offering one of the highest biggest largest and best commission rebates for my buyer clients in Chicago and suburbs.. buy with me and save! If my home-selling system didn't work.. I wouldn't be a Top Producer. I specialize in saving you money.. Seller special: 3% to 4% total commissions to sell your house (paid at closing/ no upfront fees). High Quality Photography included . New listing notification e-mailed to 25,000 Realtors included. Open House included. 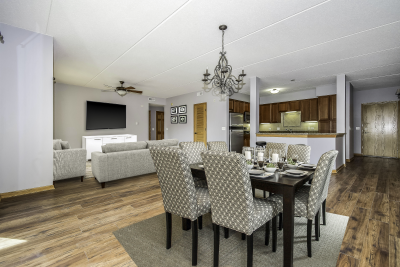 Virtual Home Tour & Virtual Staging included, we can digitally add designer couches, tables, beds, rugs, lamps, tv's, draperies and many other furniture items to photos to make the home look fully furnished and much more appealing. If I can't sell it.. nobody will. Work with the best. I closed 225+ properties as a listing agent for sellers in past 10 years, if I can't sell it for your asking price, nobody will sell it for that price.. never happened. Buyer special: 50% commission rebate on homes over $300,000 when you buy with me, you receive 50% of my commission refund at closing. Thank you for choosing Michael Sorensen! Michael Sorensen, Broker/Associate, ABR, SFR, CNE, CDPE, Full Time Chicago Real Estate Agent/Broker/ REALTOR with 17 years experience and 300 deals closed | Chicago Top Award Winning Realtor | Chicago Real Estate Buyer Agent offering 50% commission rebate on any Chicago Real Estate or Chicago Homes For Sale valued $300,000 or more. Buy Chicago Real Estate or Chicago Bank Owned Properties REO with Michael Sorensen and receive 50% commission rebate at closing. Chicago Best Discount Realtor 50% Buyer Commission Rebate on Homes over $300,000. Michael Sorensen - Previous Experience: Former RE/MAX Top Producer (2007-2015) | RE/MAX Platinum Club & RE/MAX Hall of Fame Award Recipient -ranked among top best selling RE/MAX agents in the world. Welcome to my website. I'm a full time/full service Chicago real estate agent/broker with 17 years experience and I specialize in saving you money. I offer discounted commission rates, but not discounted service, on Chicago MLS listings and currently 50% buyer commission rebate on any home or MLS listed property over $300,000 in Chicago or Suburbs. Save thousands with my special promo offers, seller commission discount on MLS listings or buyer commission rebate when you buy and/or sell a house, condo or apartment building in Chicago or the suburbs with me. FOR BUYERS. 50% commission rebate. I share my commission earned with you 50/50. Chicago Real Estate buyers.. get a 50% commission refund when you buy any Chicago Real Estate over $300,000 with me, buy any property listed in the Chicago MLS by any real estate agent anywhere. Buy a $400,000 home with me. Get $5,000 commission refund! Example: $400,000 home purchase with me = $5,000 commission rebate to you. I typically earn $10,000 commission (2.5%) on a $400,000 sale representing a buyer. I keep $5,000 and refund $5,000 to my buyer-clients at closing. Buyers pay nothing for my service, sellers pay my commissions. If you're going to have a Chicago buyer's agent.. why not get one that gives you a 50% commission rebate? FOR SELLERS. Chicago Real Estate Seller Discount Commission on MLS Listings. I will sell your Chicago or suburban Chicago property for just 3.5% total commissions (1% listing agent commission plus 2.5% buyer agent commission). 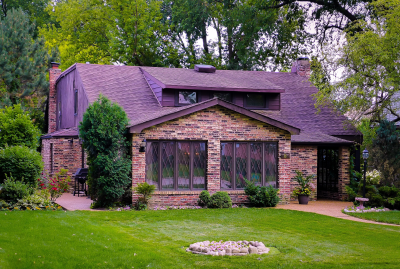 Open house and professional photos included. Aerial photography (drone pictures) also available at no additional cost (already included in my 1% listing agent commission). 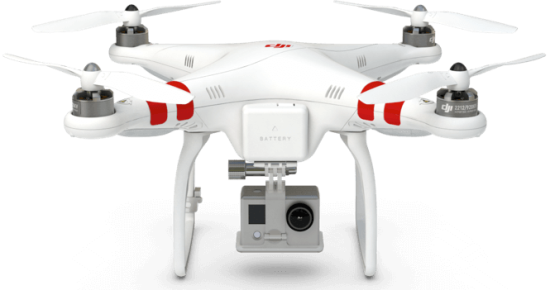 Drone/aerial photography is great for larger or waterfront properties, luxury homes, equestrian properties or farms. There are no upfront fees, no additional fees, no hidden fees, you just pay 3.5% commission at closing. *offer good on all properties over $400,000. Sell faster and keep more equity with my full service discounted 3.5% commission program on homes over $400,000. How? Suppose you sign a 6 or 12 month listing agreement with your 'local top producer' at 6% commission and are now stuck at $500,000 list price with no showings, no interest and no offers. Your listing agent calls and suggests another price adjustment but you have no room left for price reductions because you just don't have enough equity in the house. With my 3.5% full service discounted commission program you could lower the price by 10k and sell the house for $490,000 and still net more because you are saving 2.5% on the commissions. Sometimes all it takes is a 10-20K price reduction to make a difference. There are currently thousands of properties listed in the MLS at high commission with no offers. Do you think a 2.5% price reduction would make a difference? Of course, it would. Higher listing commission will not bring you more buyers or result in a higher sales price. If buyers can find comparable or better homes for less money in the same neighborhood, you are not going to sell. It's your hard-earned equity.. keep it! World Class MLS For Less! You don't have to pay 6% or 7% commission to sell your home. I listed and closed 250 properties. 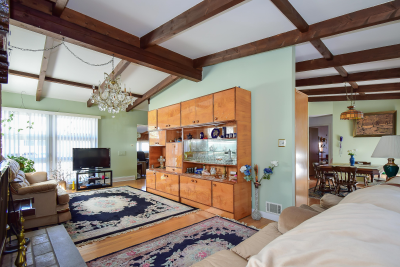 Q: How can you offer high quality MLS listings with professional photography, drone pix, open houses, for only 1% MLS listing fee plus 2.5% buyer broker commission on homes over $400,000? A: I pass the savings to you.. the client. I don't have an expensive office. I don't have a team. I don't have an assistant. I don't have a secretary. I don't pay franchise fees. I take my own photos with my world-class Canon and Nikon DSLR cameras and ultra-wide angle lenses and create my own presentations. 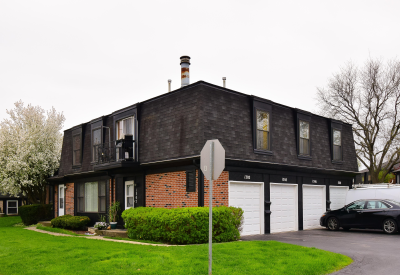 Chicago Home Buyer Agent offering Biggest Largest Highest Buyer Commission Rebates: Buy any property over $300,000 with me, listed by any broker anywhere and get 50% commission refund on any Chicago Real Estate MLS listing listed by any anywhere. I offer full service buyer representation and I show you all the listings, not just our office listings. You hire me you will work with me directly from showing until closing, not my secretary or team members. If you're going to have a Chicago buyer's agent, why not get one that pays you back? Chicago Real Estate Seller Commission Discount: from 1% MLS Listing fee on all properties over $300,000 (plus buyer broker compensation). It's your equity.. keep it! Why pay more for the same result? Full Service Buyer & Seller Representation. Question: Can a Chicago Real Estate Agent offer seller commission discount or homebuyer commission rebate and provide full service representation to seller or buyer at the same time? Answer: Yes. In Illinois, Real Estate commissions, seller discounts and buyer rebates are negotiable. If a broker/agent gets to keep 100% of his/her commission earned then there is room for negotiations while keeping high level of service. Since the agent does not split his/her commission with anyone, the savings are past on to you, the client. Some agents are on a 100% commission and are not willing to offer any discounts or rebate, that's fine, just find one who does. For example, I used to work for Century 21 years ago and I had very little room for negotiations because I was already splitting my commissions 50/50 with the company. When I sold a $400,000 home as buyer agent and brought a $10,000 commission check to my office, my company immediately took 50% ($5,000) plus franchise fee, technology fee and other junk fees, leaving me with less than half at the end of the day. Now, when I bring a $10,000 check, I get to keep $10,000 (I only pay a small transaction fee). I had to work twice as hard or sell twice as many homes to make the same money. When you are on a commission split, you have a difficult choice to make when accepting outside broker referrals or relocation company referrals who want to refer buyers or sellers to you but usually request a 25%, 30% or even 70% referral fee in exchange. When you accept a $100,000 condo buyer referral, you end up working for less than minimum wage. I had to pay 50% company commission split in addition to 30% outside broker referral fee, plus franchise fee, technology fee, my private expenses; car maintenance, gas, etc. As you can see, many real estate agents simply cannot afford to offer you any discount or rebate depending on arrangements they have with their companies. Chicagoland Best Value Discount Realtor, Michael Sorensen offering Full Service Discount Commission MLS Listings for the North, Northwest Chicago & Suburban Chicagoland Property Sellers. Professional Photos included. Open House included. Chicagoland Best Value Full Service Discount Real Estate Broker/ Agent/ Realtor. Top Producer with 250 Properties Sold as Listing Agent for Sellers in recent years. No suburb is too far.. I come to you! FREE Market Evaluation! FREE Second Opinion! Call me before you list your property with another broker! You will be glad you did! Chicago Home Buyer Cash Back Commission Rebates up to 50% Commission Refund! Full Service Chicago Buyer's Agent. *offers valid for Michael Sorensen's buyer-clients only. Other agents may offer different rates and rebates. (c) A licensee may offer compensation, including prizes, merchandise, services, rebates, discounts, or other consideration to an unlicensed person who is a party to a contract to buy or sell real estate or is a party to a contract for the lease of real estate, so long as the offer complies with the provisions of subdivision (35) of subsection (a) of Section 20-20 of this Act. Work with the Best! Top Producer with Top Results. • Full Service MLS® listings at discounted commission rates, save Thousands! • Risk-free listing agreements, cancel at any time if you are not satisfied with the results. • Licensed Real Estate Broker in Illinois (Lic.# 475.114997). • Certified Negotiation Expert (CNE). • Property Marketing Expert (PME). • Former Top Producer for the #1 RE/MAX Office in Chicago (2009/2010). • Recipient of Multiple Top Producer Awards from The Chicago Association of Realtors. • Polish/English speaking agent. 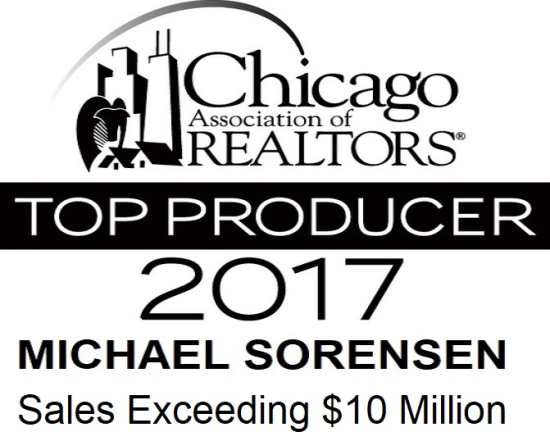 Michael Sorensen | Chicagoland Brokers, Inc. 5151 N Harlem Ave 201, Chicago, IL 60656. Chicago Buyer's Agent, Chicago Real Estate Home Buyer Commission Rebate Refund Discount Coupon, Chicago Homes For Sale, Chicagoland Real Estate Seller Discount MLS Listings, Chicago Top Discount Realtor, Chicago Best Real Estate Commission Rebate Realty Agency, MLS Listing Discount Broker Agent, Search Chicago MLS Listings, Chicago Home Buyer Commission Rebate, Chicago Best Home Photos Realtor providing Chicago Best Real Estate Photography Pictures Images Virtual Home Tours for Chicago Property Sellers. Chicago Norwood Park Real Estate | Chicago Edison Park Real Estate | Chicago Jefferson Park Real Estate | Chicago Edgebrook Real Estate | Chicago Forest Glen Real Estate | Chicago Irving Park Real Estate | Chicago Dunning Real Estate | Chicago Portage Park Real Estate | Chicago Lakeview Lake View Real Estate | Chicago Lincoln Park Real Estate | Park Ridge Homes For Sale | Norridge Homes For Sale | Schiller Park Homes For Sale | Elmwood Park Homes For Sale | Niles Homes For Sale | Glenview Homes For Sale | Northbrook Homes For Sale | Mt Prospect Homes For Sale | Arlington Heights Homes For Sale | Schaumburg Homes For Sale | Morton Grove Homes For Sale | Wilmette Homes For Sale | Winnetka Homes For Sale | Barrington Homes For Sale | Hinsdale Homes For Sale | Naperville Homes For Sale | Lake Zurich Homes For Sale | Highland Park Homes For Sale. Best Polish Speaking Realtors in Chicago "Mowimy Po Polsku". We serve Chicago Norwood Park, Edison Park, Edgebrook, Jefferson Park, Portage Park, Irving Park, Dunning, Elmwood Park, Schiller Park, Norridge, Harwood Heights, Park Ridge, Des Plaines, Niles, Morton Grove, Skokie, Lincolnwood, Mt Prospect, Arlington Heights, Schaumburg real estate market and the surrounding communities and neighborhoods. I’ll tell you about each of them and let you narrow your search to the very best for you. Chicagoland Brokers, Inc. Chicago Norwood Park Real Estate Agent, Chicago Norwood Park Homes for Sale, Houses, Condos, Townhomes, Chicago Norwood Park Buyer's Agent, Chicago Norwood Park Seller's Agent, Norwood Park house values, what is my Norwood Park home worth, Free CMA, Chicago Norwood Park MLS® listing commission discount rebate refund, home buyers, property sellers, Chicago Norwood Park bank owned homes foreclosures, Chicago Norwood Park short sale agent, Chicago Norwood Park Polish Speaking Realtor. Domy w Chicago-Norwood Park, kupno, sprzedaz nieruchomosci, polski agent, mowimy po polsku. Chicago Edgebrook Forest Glen Wildwood Sauganash Real Estate Agent, Chicago Edgebrook Homes for Sale, Edgebrook Houses, Condos, Townhomes, Chicago Edgebrook Buyer's Agent, Chicago Edgebrook Seller's Agent, Edgebrook house values, what is my Edgebrook home worth, Free CMA, Chicago discount realtor, Chicago Edgebrook MLS listing commission discount, buyer rebate refund, home buyers, property sellers, Chicago Edgebrook foreclosures bank owned homes, Chicago Edgebrook short sale agent, Chicago Edgebrook Polish Speaking Realtor. Domy w Chicago-Edgebrook, kupno, sprzedaz nieruchomosci, polski agent, mowimy po polsku. Chicago Norwood Park Real Estate Agent, Chicago Norwood Park Homes for Sale, Houses, Condos, Townhomes, Chicago Norwood Park Buyer's Agent, Chicago Norwood Park Seller's Agent, Norwood Park house values, what is my Norwood Park home worth, Free CMA, Chicago Norwood Park MLS listing commission discount rebate refund, home buyers, property sellers, Chicago Norwood Park bank owned homes foreclosures, Chicago Norwood Park short sale agent, Chicago Norwood Park Polish Speaking Realtor. Domy w Chicago-Norwood Park, kupno, sprzedaz nieruchomosci, polski agent, mowimy po polsku. Chicago Edison Park Real Estate Agent, Chicago Edison Park Homes for Sale, Edison Park Houses, Condos, Townhomes, Chicago Edison Park Park Buyer's Agent, Chicago Edison Park Seller's Agent, Edison Park house values, what is my Edison park home worth, CMA, Chicago Edison Park MLS listing commission discount rebate refund, home buyers, property sellers, Chicago Edison Park bank owned homes foreclosures, Chicago Edison Park short sale agent, Chicago Edison Park Polish Speaking Realtor. Domy w Chicago-Edison Park, kupno, sprzedaz nieruchomosci, polski agent, mowimy po polsku. Chicago Jefferson Park Real Estate Agent, Chicago Jefferson Park Homes for Sale, Houses, Condos, Townhomes, Chicago Jefferson Park Park Buyer's Agent, Chicago Jefferson Park Seller's Agent, Jefferson Park house values, what is my Jefferson Park home worth, Free CMA, Chicago Jefferson Park MLS listing commission discount rebate refund, home buyers, property sellers, Chicago Jefferson Park bank owned homes foreclosures, Chicago Jefferson Park short sale agent, Chicago Jefferson Park Polish Speaking Realtor, Chicago Top Ranked Best Selling RE/MAX Realty Agents. Domy w Chicago-Jefferson Park, kupno, sprzedaz, nieruchomosci, polski agent, mowimy po polsku. Chicago Portage Park Real Estate Agent, Chicago Portage Park Homes for Sale, Houses, Condos, Townhomes, Chicago Portage Park Park Buyer's Agent, Chicago Portage Park Seller's Agent, Portage Park home values, what is my Portage Park home worth, CMA, Chicago Portage Park MLS listing commission discount rebate refund, Chicago Portage Park bank owned homes foreclosures, Chicago Portage Park short sale agent, Chicago Portage Park Polish Speaking Realtor, Chicago Top Ranked Best Selling Real Estate Agents. Domy w Chicago-Portage Park, kupno, sprzedaz, nieruchomosci, polski agent, mowimy po polsku. Park Ridge IL 60068, Park Ridge Real Estate Agent, Park Ridge Homes for Sale, Houses, Condos, Townhomes, Park Ridge Park Buyer's Agent, Park Ridge Seller's Agent, Park Ridge house values, what is my Park Ridge home worth, Free CMA, Park Ridge discount realtor, Park Ridge MLS listing commission discount rebate refund, Park Ridge bank owned homes foreclosures, Park Ridge short sale agent, Park Ridge Polish Speaking Realtor. Domy w Park Ridge, kupno, sprzedaz, nieruchomosci, polski agent, mowimy po polsku. Norridge IL 60706, Norridge Real Estate Agent, Norridge Homes for Sale, Houses, Condos, Townhomes, Norridge Buyer's Agent, Norridge Seller's Agent, Norridge house values, CMA, Norridge discount realtor, Norridge MLS listing commission discount rebate refund, Norridge bank owned homes foreclosures, Norridge short sale agent, Polish Speaking Realtor. Domy w Norridge, kupno, sprzedaz nieruchomosci, polski agent, mowimy po polsku. Niles IL 60714, Niles Real Estate Agent, Niles Homes for Sale, Houses, Condos, Townhomes, Niles Buyer's Agent, Niles Seller's Agent, Niles house values, what is my Niles home worth, Free CMA, Niles discount realtor, Niles MLS listing commission discount rebate refund, Niles bank owned homes foreclosures, Niles short sale agent, Niles Polish Speaking Realtor. Domy w Niles, kupno, sprzedaz, nieruchomosci, polski agent, mowimy po polsku. 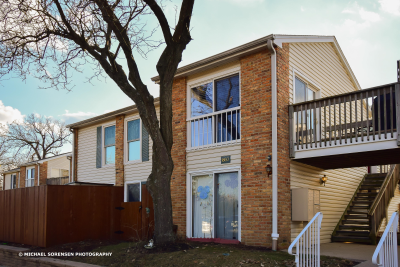 Des Plaines IL 60016, 60018, Des Plaines Real Estate Agent, Des Plaines Homes for Sale, Houses, Condos, Townhomes, Des Plaines Buyer's Agent, Des Plaines Seller's Agent, Des Plaines home values, CMA, Des Plaines discount realtor, Des Plaines MLS listing commission discount rebate refund, Des Plaines bank owned homes foreclosures, Des Plaines short sale agent, Des Plaines Polish Speaking Realtor. Domy w Des Plaines, kupno, sprzedaz nieruchomosci, polski agent, mowimy po polsku. Mount Prospect IL 60056, Mount Prospect Real Estate Agent, Mt Prospect Homes for Sale, Houses, Condos, Townhomes, Mount Prospect Buyer's Agent, Mount Prospect Seller's Agent, Mount Prospect house values, what is my Mount Prospect home worth, Free CMA, Mt Prospect discount realtor, Mount Prospect MLS listing commission discount rebate refund, Mount Prospect bank owned homes foreclosures, Mount Prospect short sale agent, Mount Prospect Polish Speaking Realtor. Domy w Mount Prospect, kupno, sprzedaz, nieruchomosci, polski agent, mowimy po polsku. Arlington Heights Real Estate Agent, Arlington Heights Homes for Sale, Houses, Condos, Townhomes, Arlington Heights Buyer's Agent, Arlington Heights Seller's Agent, Arlington Heights house values, CMA, Arlington Heights discount realtors, Arlington Heights MLS listing commission discount rebate refund, Arlington Heights bank owned homes foreclosures, Arlington Heights short sale agent, Arlington Heights Polish Speaking Realtor. Domy w Arlington Heights, kupno, sprzedaz nieruchomosci, polski agent, mowimy po polsku. Schiller Park Real Estate Agent, Schiller Park Homes for Sale 60176 Houses, Condos, Townhomes, Schiller Park Buyer's Agent, Schiller Park Seller's Agent, Schiller Park house values, what is my Schiller Park home worth, Free CMA, Schiller Park discount realtors, Schiller Park MLS listing commission discount rebate refund, home buyers, property sellers, Schiller Park bank owned homes foreclosures, Schiller Park short sale agent, Schiller Park foreclosure agent, Schiller Park Polish Speaking real estate agents, Polish Realtor. Domy w Schiller Park, kupno, sprzedaz nieruchomosci, polski agent, mowimy po polsku. Zip codes served: 60630, 60631, 60634, 60639, 60641, 60646, 60648, 60656, 60068, 60714, 60016, 60025, 60056, 60007, 60062, 60706, 60707, 60005, 60103, 60104, 60107, 60131, 60176, 60193, 60194, 60010, 60053, 60076, 60091, 60070, 60090. 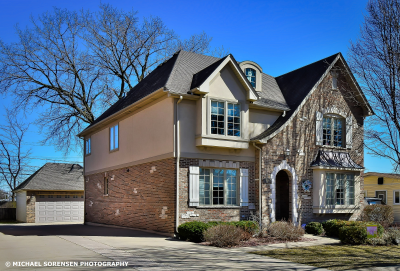 Best Chicago Home Photos Realtor Agent Broker Providing Chicago Best Real Estate Photography, Chicago Top Real Estate Photographers Best Home Photos. Search Chicago Illinois Foreclosures. Buy with me get up to 50% commission rebate!